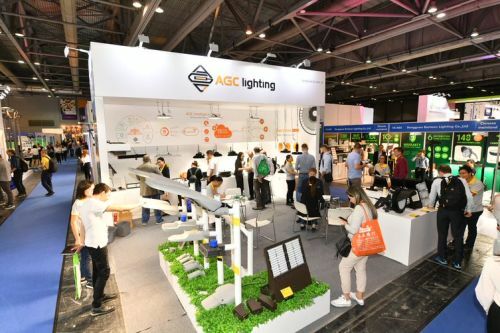 HONG KONG, Oct 27, 2018 - (ACN Newswire) - The 20th Hong Kong International Lighting Fair (Autumn Edition), organised by the Hong Kong Trade Development Council (HKTDC), opened today and runs until 30 Oct at the Hong Kong Convention and Exhibition Centre (HKCEC). A record number of more than 2,700 exhibitors from 37 countries and regions are taking part, including first-time exhibitors from Lithuania, Macau and Portugal. 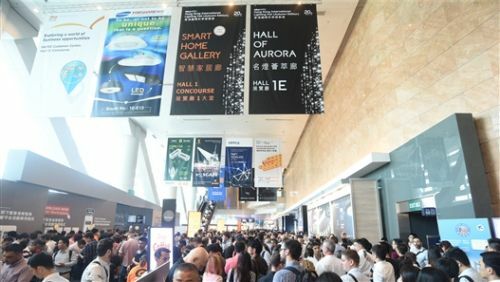 Meanwhile, the Hong Kong International Outdoor and Tech Light Expo returns in its third edition from 26-29 Oct at AsiaWorld-Expo. The latest products from 420 exhibitors from Hong Kong, the Chinese mainland, Korea, Taiwan and Slovakia are on display during the four-day expo. The twin lighting shows form the world's largest lighting marketplace, offering a wide variety of smart and green lighting products and solutions for buyers from around the world. HKTDC Deputy Executive Director Benjamin Chau said that to create more business opportunities for the industry, the HKTDC organised 80 buying missions for over 7,700 buyers from nearly 5,600 companies to visit and source from the twin fairs, including SLV Group from Germany, Globe Electric from Canada, Samsung Electronics and E-World from Korea, Primer Capital from Malaysia, China Railway Hefei Institute of Architectural & Municipal Engineering Design from the Chinese mainland, Tooy from Italy, and Alfanar from Saudi Arabia. As Internet of Things (IoT) technology continues to mature, the smart home has become a major trend, boosting market demand for intelligent lighting products. 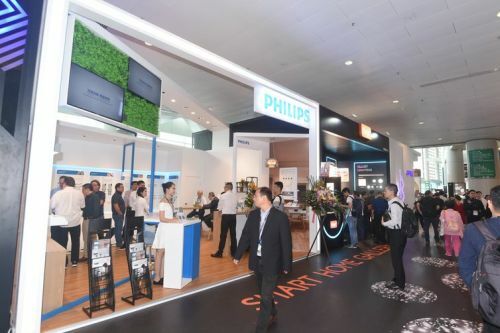 The Smart Home Gallery makes its debut at the Autumn Lighting Fair to showcase smart lighting products from renowned brands such as Opple, Philips, Tuya, Jingxun (a partner of Tmall Genie AI Union) and Yeelight (a Xiaomi Eco-System company). The Smart Lighting & Solutions zone features an array of fashionable lighting designs, software, management systems and smart lighting design solutions. The fair presents various thematic zones to facilitate precision sourcing. The LED Lighting zone features more than 1,100 exhibitors showcasing LED lighting and other energy-efficient products, matching the growing demand in the market for energy-efficient lighting. The Hall of Aurora features innovative lighting products and technologies from over 720 international brands, including BJB, Ledus, Megaman, Viribright and Nordlux. Other thematic zones include Residential Lighting, Commercial Lighting and Testing, Certification & Inspection. Various seminars and forums are being organised during the fair period. Today's "Smart Lighting Development Forum - Smart Home Lighting" featured representatives from leading brands in the Chinese mainland's lighting market, including Opple and Philips, to discuss market and product trends. On 29 Oct, "The Latest Standards and Requirements for the LED Industry" features representatives from the Digital Illumination Interface Alliance, DEKRA and UL to share their insights on data protection, internet security and the latest standards in the LED lighting industry. The Hong Kong International Outdoor & Tech Light Expo showcases lighting products and solutions for industrial and commercial buildings and outdoor areas. Henglan town from the Chinese mainland, the Zhongshan LED Lighting Industry Association, the Guangdong Lighting Association, the Jiangsu Gaoyou Lighting Association and the Zhenjiang Chamber of International Commerce Illuminating Industry Enterprise Alliance have all set up group pavilions. The inaugural Horticultural Lighting zone presents grow lights for plants in outdoor areas such as farms, domestic gardens and public parks. Activities taking place under the Guangdong-Hong Kong-Macao Greater Bay Area Development plan and Belt and Road Initiative will drive many urban areas in the region towards becoming smart cities, bringing more opportunities for outdoor lighting products. The Exterior Lighting Solutions and System zone gathers cutting-edge, energy-efficient lighting technologies from across the industry. Other thematic zones include Outdoor & Public Lighting, Technical & Professional Lighting and Outdoor Advertising Lighting. A seminar entitled "Disruptive Smart Road Lights - Are You There Yet?" took place yesterday (26 Oct), featuring representatives from leading Chinese mainland communications companies and lighting brands, such as China Unicom, Infineon, Fonda Technology and Shuncom, who shared their insights on the developments and opportunities in exterior smart lighting. Buyer forums were organised today to discuss upcoming opportunities for lighting products in Spain and Dubai. Tomorrow (28 Oct), the Horticultural Lighting Forum will feature several overseas speakers, including German semiconductor producer OSRAM's Senior Director Daniel Doxsee, inspection and product certification institution TUV SUD's Senior Engineer and Project Manager Marvin Henry Boll and Highlight magazine's Editor-in-Chief Markus Helle. They will talk about trends, technologies and applications for horticultural lighting. On Monday (29 Oct), representatives from quality and safety services institution Intertek and the Hong Kong Standards and Testing Centre will discuss regulations and standards for lighting products. The Outdoor and Tech Light Expo is being held at AsiaWorld-Expo alongside the concurrent Eco Expo Asia, from 25-28 Oct. Along with the Autumn Lighting Fair, these parallel events create greater synergies and cross-sector business opportunities for industry players. A free shuttle bus service between the HKCEC, designated city pick-up locations and AsiaWorld-Expo is provided during the concurrent fair period. Hong Kong's total exports of lighting products in 2017 rose by 2.6% year-on-year, to HK$9.76 billion. In the first eight months of 2018, Hong Kong's lighting product exports were valued at HK$6 billion. The 20th Hong Kong International Lighting Fair (Autumn Edition) and the third Hong Kong International Outdoor and Tech Light Expo form the world's largest lighting marketplace, bringing new products from over 3,100 exhibitors and offering a wide variety of smart and green lighting products and solutions for buyers from around the world. The Smart Home Gallery makes its debut at the Autumn Lighting Fair to display smart home lighting products from renowned brands. The inaugural Horticultural Lighting zone at the Outdoor and Tech Light Expo presents grow lights for plants in outdoor areas.